The fabric piece cut in GSM Cutter can be mounted on this machine for direct reading as ‘GSM ‘. Also can be used for multipurpose weighing options up to 300 grams in 0.01 grams sensitivity. Can read results in grams, ozs, carrots etc. Also can cover “piece counting options”. The instrument is repairable and recaliberatable. 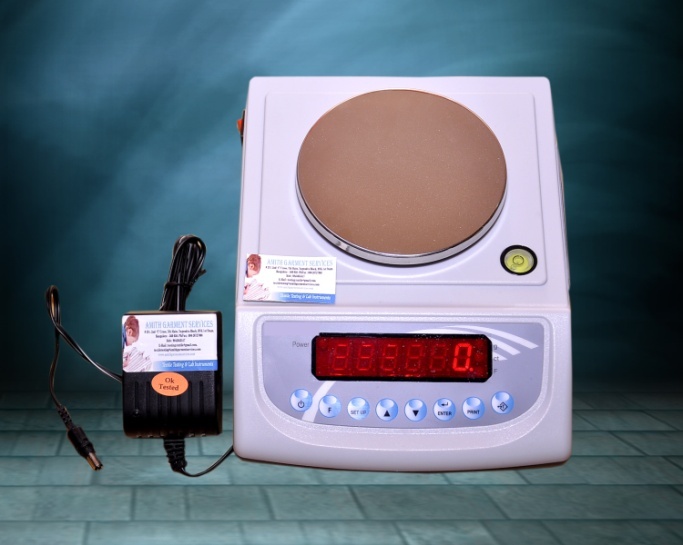 Option of pocket weighing balance is also available.